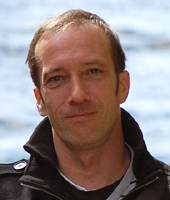 It seems so horribly unfair when a child is as unlucky as Jesper that we condemn him the unfortunate events surrounding him. As you’re reading about Jasper Jinx and the Mouse Mayhem you’ll come to find that as unlucky as Jesper is, we’re on the opposite end of that scale. We’ve been given all the luck he’s missing since we not only get to read the account of the mayhem but we didn’t have to experience any of it… though I’m feeling quite sorry for the residents of Puffington Hill. 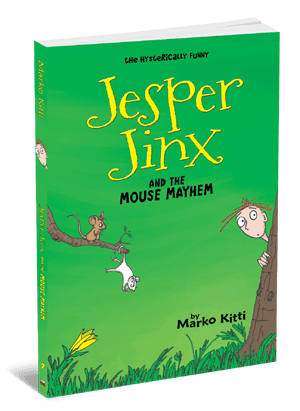 Only one question remains at the end of Jinx and the Mouse Mayhem… is Jesper responsible for this mayhem or does he really have a jinx? I can’t remember when I’ve laughed so hard as I have while reading Jesper Jinx and the Mouse Mayhem – even days later as I’m still thinking about this book! This is definitely a book I’ll share with the middle-grade children I adore.